Due to the enhanced circulation and increased supply of oxygen from gradient compression, your sensorimotor function is improved. This helps you improve your performance during athletic activities. What’s more, your muscles warm up more quickly thanks to the improved circulation, meaning they are better protected against injury. * Please note colour of product is forefront colour in product images. 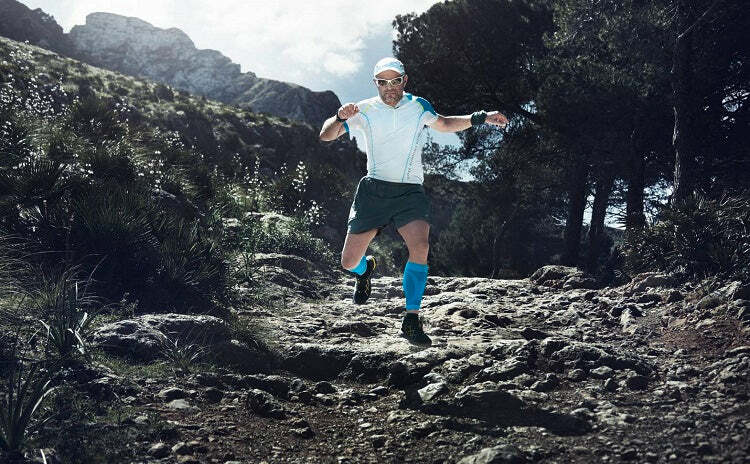 Highly elastic knitted fabric for a carefully regulated level of compression. 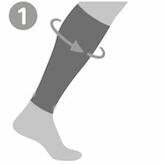 Measure the circumference of your calf at its thickest point (1). Measure the circumference of your ankle at its narrowest point above your ankle bone (2). 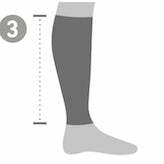 Measure the length of your calf (knee to ankle) (3). 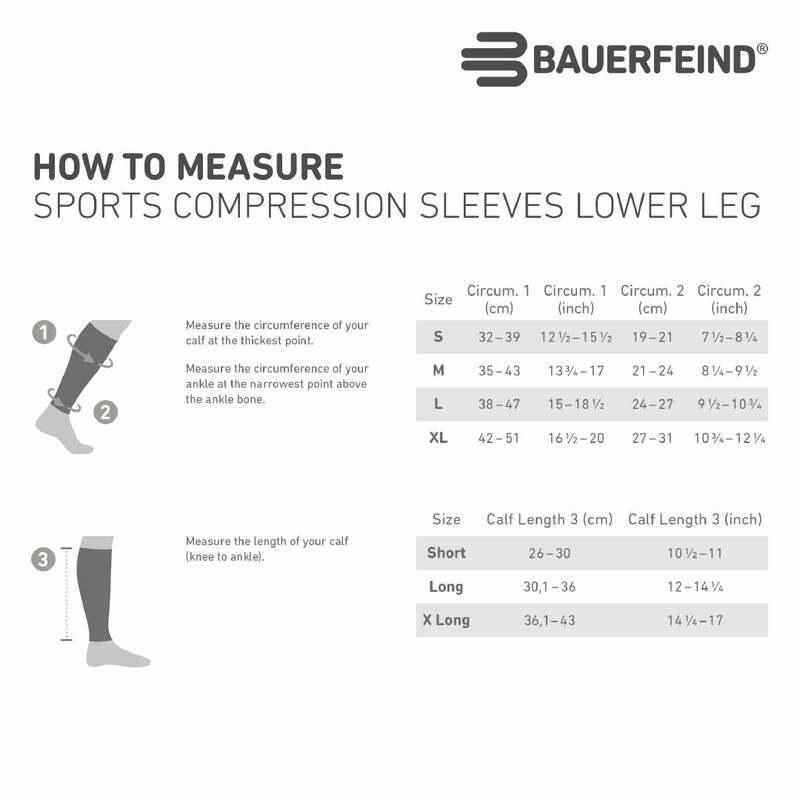 All sports compression garments have a 30 day exchange policy.